Two microcomputer-based approaches to management science (MS) software design — the basic input/output design and the integrated software design — are discussed and compared. The details of an empirical study of the two approaches are described, and data are presented on student preferences for the two design approaches. The data indicate that students prefer the integrated software design for learning purposes on a number of relevant criteria, including as being easier and more fun to use, and as an aid to understanding textbook material, especially the details/steps of the model solution process. 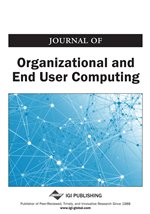 These results suggest that the integrated software design may be instrumental in managing the Type IV implementation problem (the error of developing a model that solves the right problem but is not used) by using microcomputers to improve organizational communication between managers and management scientists.